3The U.S. civilian workforce includes 7.8 million unauthorized immigrants, representing a decline since 2007. 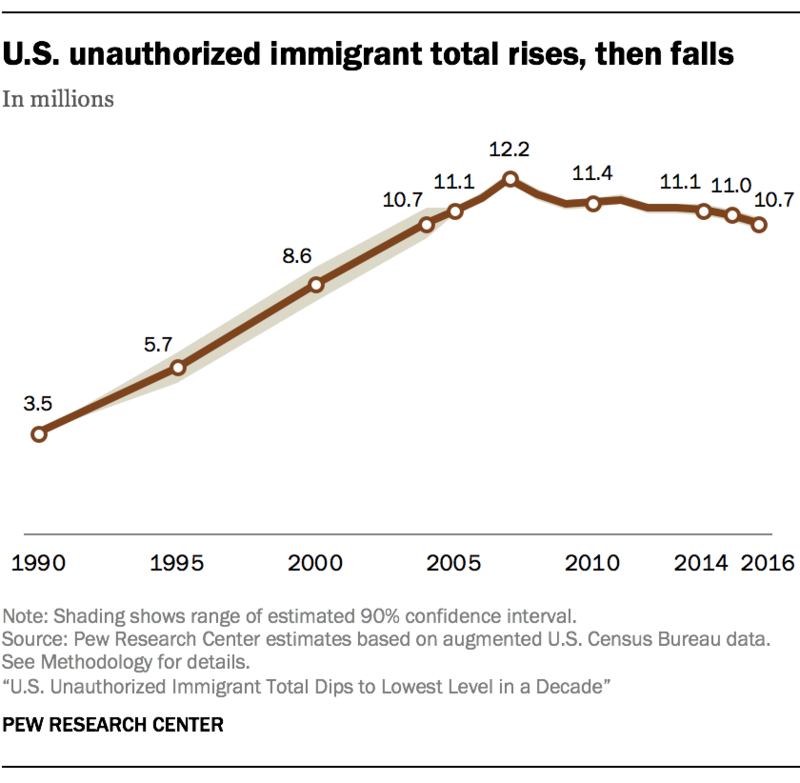 Between 2007 and 2016, the number of unauthorized immigrant workers fell, as did their share of the total U.S. workforce over the same period. This group accounted for 4.8% of those in the U.S. who were working or were unemployed and looking for work. The number of unauthorized immigrant men in the prime working ages of 18 to 44 also declined, but not women. Compared with their 4.8% share of the civilian workforce overall in 2016, unauthorized immigrants are overrepresented as a share of the workforce in farming occupations (24%) and construction occupations (15%). In all industries and occupations, though, they are outnumbered by U.S.-born workers. 4Six states account for 58% of unauthorized immigrants: California, Texas, Florida, New York, New Jersey and Illinois. But individual states have experienced different trends. 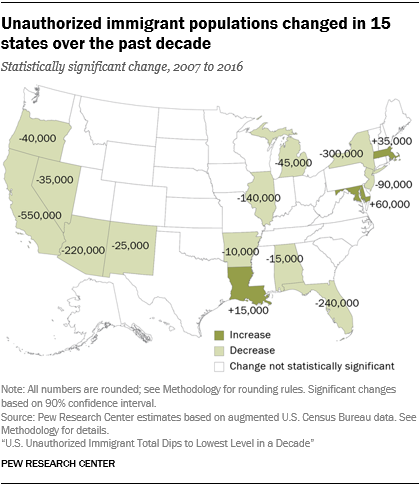 From 2007 to 2016, the unauthorized immigrant population decreased in a dozen states: Alabama, Arizona, Arkansas, California, Florida, Illinois, Michigan, Nevada, New Jersey, New Mexico, New York and Oregon. In three states, the unauthorized immigrant population rose over the same period: Louisiana, Maryland and Massachusetts. 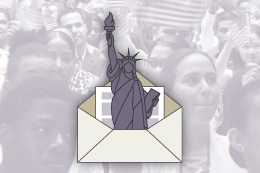 5A rising share of unauthorized immigrants have lived in the U.S. for more than a decade. About two-thirds (66%) of unauthorized immigrant adults in 2016 had been in the U.S. more than 10 years, compared with 41% in 2007. 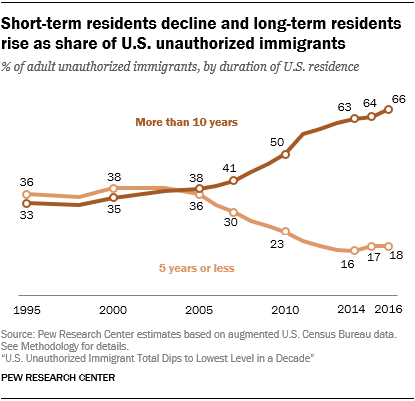 A declining share of unauthorized immigrants have lived in the U.S. for less than five years – 18% of adults in 2016, compared with 30% in 2007. In 2016, unauthorized immigrant adults had lived in the U.S. for a median of 14.8 years, meaning that half had been in the country at least that long. To learn more: Explore unauthorized immigrant population trends for states, birth countries and regions. Note: This post was originally published on Nov. 18, 2014, and has been updated.